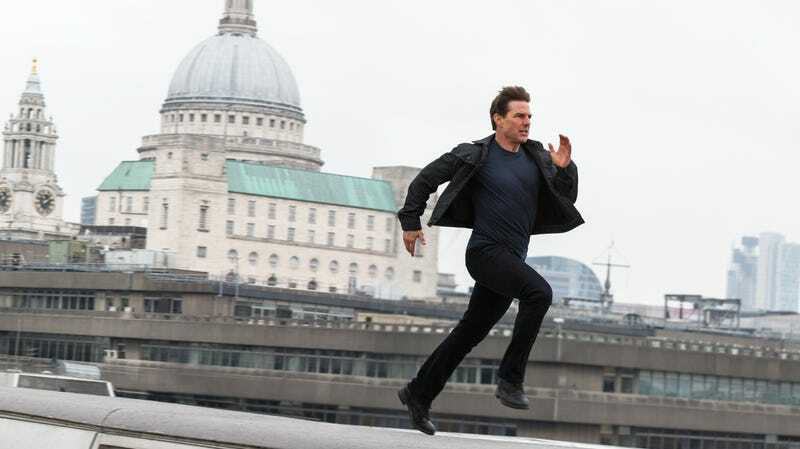 Mission: Impossible—Fallout also has strong international box-office prospects, having pulled in $96 million in its opening weekend in 36 countries worldwide. Leading that pack was South Korea, where it made $24.6 million, followed by the U.K. ($9 million), India ($7 million), and Indonesia ($5.5 million). Those are all robust international markets, but the film has yet to debut in many more, including France, Australia, Germany, Japan, and the final boss of overseas markets, China. That last country birthed a phenomenon of its own last weekend, as the Chinese comedy Hello Mr. Billionaire—about a failing soccer player who’s tasked with spending RMB1 billion (about $147 million in U.S. dollars) in one month in order to collect an even bigger inheritance—opened to a gigantic $131 million in its home country. Chinese comedies rarely make it into American theaters, but another would-be Chinese blockbuster, Detective Dee: The Four Heavenly Kings (the fourth in a massively popular series) opened simultaneously in China and the U.S. last weekend. It did okay in both markets, making $42.5 million in China and $132,000 in America. Also new and doing just okay this past weekend was Teen Titans Go! To The Movies, the week’s only other wide domestic release, which opened at No. 5 with $10.5 million. In limited release, this weekend’s big winners were Blindspotting—which rocketed from No. 22 to No. 13 as its expanded in its second week—and, to a lesser extent, Eighth Grade, which added 125 theaters and $1.3 million in revenue in its third week in theaters. This coming weekend doesn’t see any huge blockbusters coming to challenge Mission: Impossible—Fallout’s box-office supremacy, so don’t be surprised if it’s No. 1 next week as well. Take that, Xenu! You can find more detailed numbers at BoxOfficeMojo.